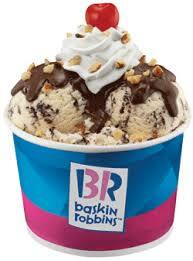 This past Sunday we enjoyed one of the sweetest holidays this summer, National Ice Cream Day! This holiday is celebrated all month long, so join in the fun. Satisfy your cravings for the icy treat this month with the deals that follow. If I hear of others, I’ll add them to the list. If you know of any, leave a comment! Baskin-Robbins: Now through the end of August, get a free freshly-baked waffle cone upgrade with the purchase of a double scoop of Baskin-Robbins ice cream. The July Flavor of the Month is Oreo ‘N Chocolate, made with chocolate ice cream and Oreo cookie pieces swirled with a crispy fudge crackle ribbon. Carvel– Get $0.99 Junior cones on July 21st with Facebook coupon offer. Cold Stone Creamery– Email subscribers will receive a coupon good for Buy one, Get one Free. 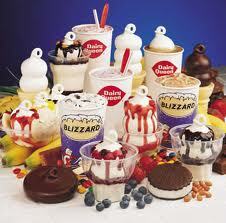 Dairy Queen – Sign up for their Blizzard Fan Club and get a Buy One Get One Free coupon. Häagen-Dazs – No specials but they have a contest where you can win artwork inspired by their gelato. Click here for more info. Marble Slab Creamery– The “Sweetest Happy Hour” promotion: Mon-Fri from 12 noon to 2pm buy one small or medium combination, get another for 30¢. Dippin’ Dots– Offering this online special: Buy (2) 30 serving kits, get one free. McDonalds and Burger King– Both restaurants are still running cone deals in select locations. $0.50 at BK and $0.79 at McDonalds. BK is also offering a new Oreo Summer Treats menu that includes a sundae and more. Click here to see a directory of local ice cream shops here in Orange County, courtesy of Yelp. In Santa Ana that would include Hans’ Homemade Ice Cream, at 3640 South Bristol. Remember they take cash only.